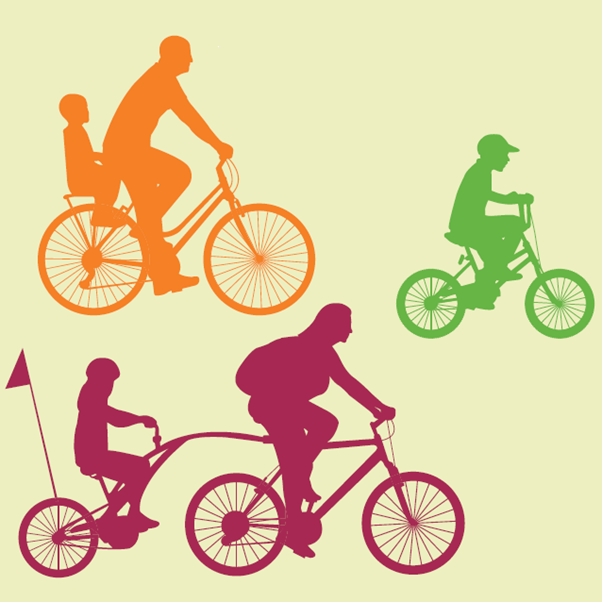 As previously mentioned by your humble curator, there was a ‘bike-curious’ family workshop today at Sciennes Primary School in Edinburgh. Lots of families who already use bikes to shift kids around brought along their various contraptions, and lots of other families got to ask questions, try things out, and eat free cake. 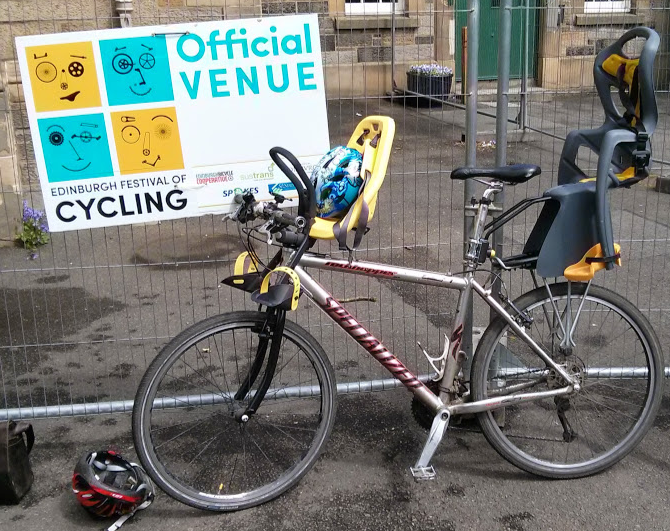 I spent most of the two hours answering questions about a trailgator and tagalong that had been temporarily donated to proceedings by HankChief (of CityCyclingEdinburgh), but still found the time to take a few photos. The joints stars of the show were a pair of Urban Arrows, one family-owned and one a demo bike from Laid Back Bikes. 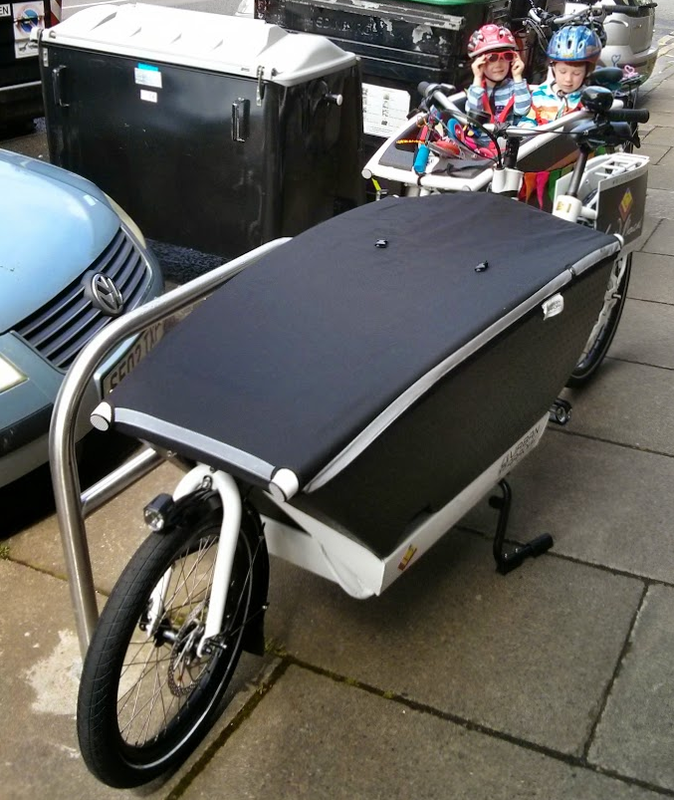 These are the bleeding edge of cargo bike development, with a ‘lightweight’ aluminium frame, foam front cargo box, and built-in crank-drive electric assist. A pair of Urban Arrows. 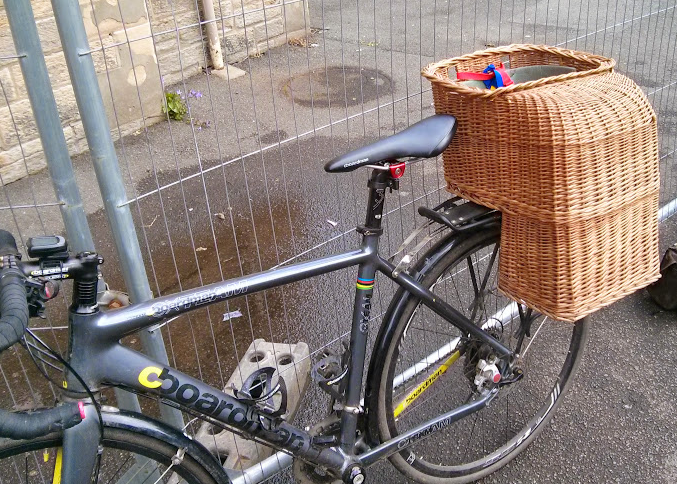 Note how steady the rear bike is on it’s stand, despite having two kids inside. Photo taken after the event, so forgive the less-than-salubrious surroundings. Yes, of course I had a shot. On public roads and everything. 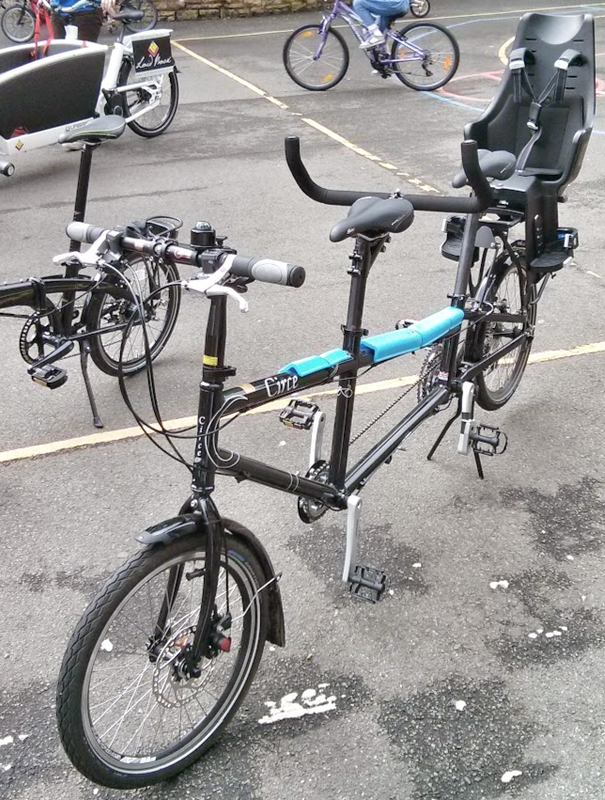 The Circe Helios (another Laid Back demo bike), this time with a Bobike child seat on the back. 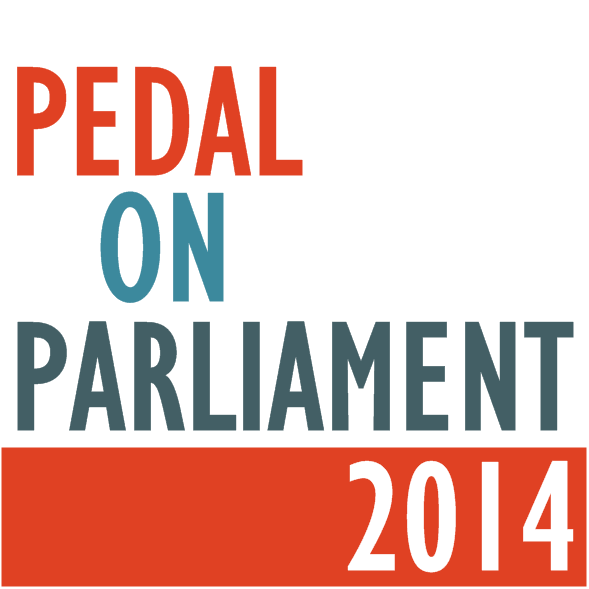 Note the shorteners on the rear cranks to reduce them to a more child-friendly length. The Circe Titan rack (which replaces the rear seat with another pannier rack) was also around, but I forgot to take a photo. Oops. Yepp Mini on the front, and something else I forget to write down on the back. Professional journalism, right here. The Trailgator. Photo borrowed from their website — click the image for more info. There we are. 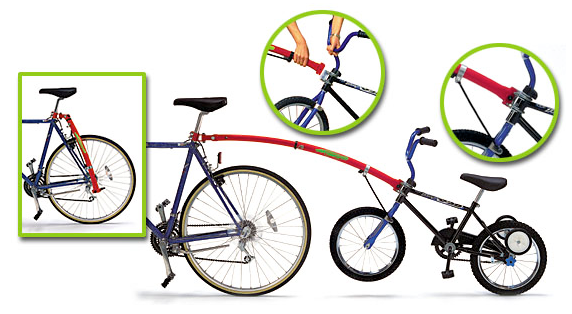 The tagalong was the same concept, but without the front wheel on the kids bike. This makes for a more rigid trailer and eliminates the wheelie angle for your tow, but obviously means you can’t let your child ride by themselves at any point. 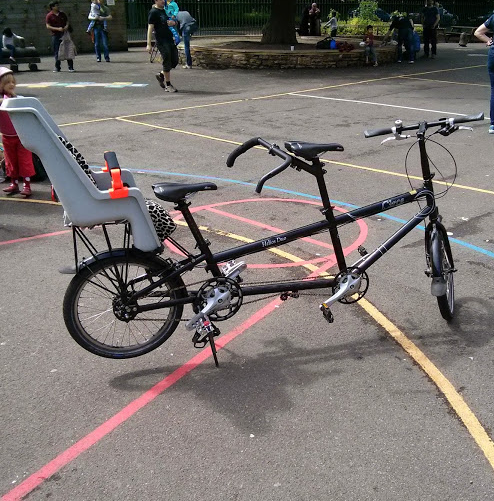 There were also loads of kids bikes, including a good handful of very nice Islabikes. I didn’t get any photos of them because they were permanently in use, and I didn’t have the energy to go round asking for consent to use photos. 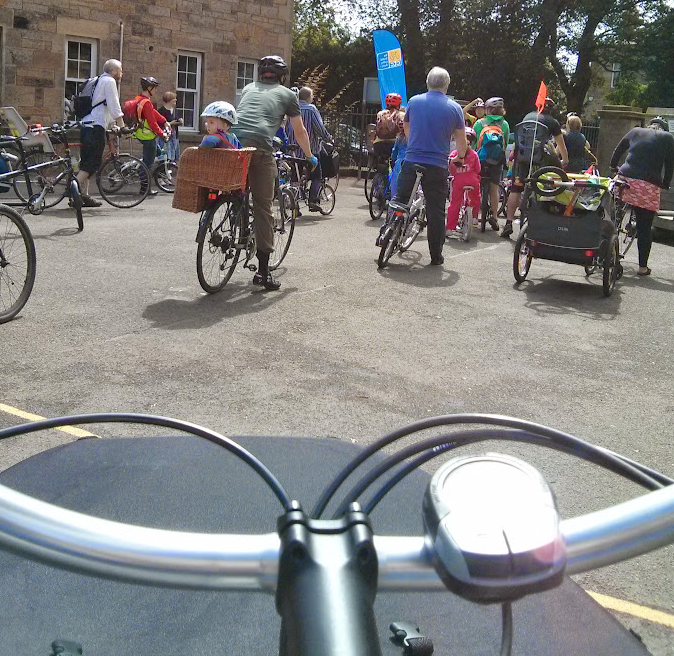 The workshop finished with a bike group ride (‘Kidical Mass’), which is possible in Edinburgh as they actually have a smattering of cycle infrastructure on which you can safely take a mass of kids. Hats off to Edinburgh Council, and a glare at the short-sightedness of Glasgow’s Land and Environmental Services. 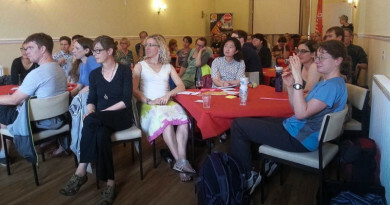 A grand time was had by all, so definitely a congratulatory drink in order for the organisers (both of this event, the overall Women’s Cycle Day, and the Edinburgh Festival of Cycling). PS: if you can identify any of the bits I’ve forgotten, do let me know in the comments! The blue/orange trailer is a Phillips Cleveland, apparently. 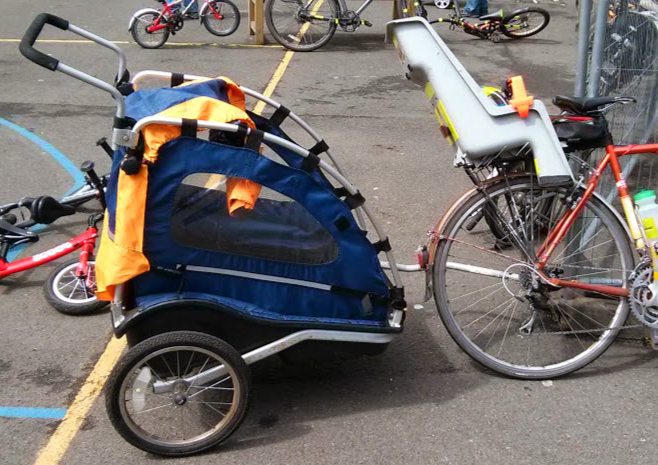 The unknown child seat on the back of the Specialized appears to be a Bellelli Pepe.